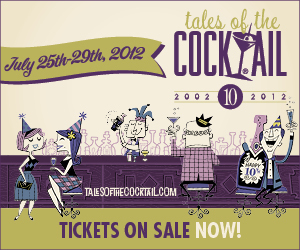 This years Tales of the Cocktail celebrates it`s 10 year anniversary and that is a promise of even more frenzy as usual so gear up if you`re planning to go! Here´s everything you possible would like to know about Curacao – INCLUDING seeing David Wondrich himself distilling a curacao live on stage without igniting his beard! AND Philip Duff will have you sample pre-liqueur liqueurs from 1500s Dutch recipes like the Bare Bellybutton, Kandeel and Quarter After Five! – don´t miss it! This seminar includes never-before-presented research on the history and evolution of curacao (orange) as a cocktail ingredient, including the birth of brands and the switch from multi-flavour event liqueurs of Middle Ages Netherlands to single-ingredient cocktail liqueurs – and gives a unique chance to see exactly how curacao is made and why. The session includes live curacao distilling, tastings of curacaos and other exotic orange liqueurs as old as 90 and from recipes that date to the 1500s. I will be there! i hope you will too! but if you can´t i´ll write about it here on this blog.